Floy “Bud” Parsons, born August 18, 1924 in Fairfield, OH, the son of Floy and Hazel Parsons passed away on December 1, 2018. In addition to his parents, he was preceded in death by sister Helen and brother Simon. He is survived by Ann Louise, his wife of 66 years, sister Virginia Shafer, several nieces and nephews, including Becky (Ron) Jackson, great nephew; Ted (Keith Southam) Jackson, Paul (Beverly) Jackson and great-great nephews; Floy and Lennon Jackson. He served two years in the European Theater during WWII. He retired from farming in 1979 but remained active until his death. He retired from Trojan Asphalt in 1986 but later returned and worked until he was 80. 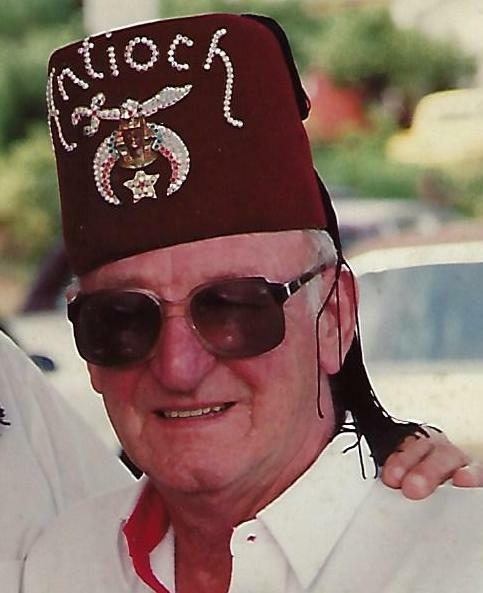 He was a 70 year member of Masonic Lodge, 65 year member of Eastern Star and joined the Scottish Rite and Shrine in 1954 and 1956. He joined the Royal Order of Jesters in 1986. He belonged to American Legion and Moose Lodge. He was a lifetime member of Champaign and Miami County Shrine Clubs, VFW, International Union of Operating Engineers and Troy Fish and Game. Visitation will be held at Atkins-Shively Funeral Home, 216 S. Springfield Street, Saint Paris, Ohio 43072 on Tuesday, December 4, 2018 from 3:00 p.m. to 7:00 p.m. with Masonic services at 7:00 p.m. Funeral services will be held on Wednesday, December 5, 2018 at 11:00 a.m. in the funeral home with Illustrious Sir Bret Stahler presiding. Burial will follow in Evergreen Cemetery with military honors. In lieu of flowers the family requests that donations be made to Shriners Hospitals for Children, 107 E. First Street, Dayton, Ohio 45402-1214 or to your favorite organization. Condolences to the family may be sent to www.shivelyfuneralhomes.com.